Many young, healthy Americans may not realize that they share something troubling in common with each other. There’s a good chance they could spend the later years of their lives in long-term care, a situation that might drain their finances and leave them dependent on the government to survive. Families go broke quickly trying to provide long-term care for a loved one. “Unfortunately, too many people wait until they are in the middle of a crisis before they start trying to figure out how the world of long-term care works. If you’re convinced that long-term care is something that happens to others, but not to you, you could be right. But the odds aren’t reassuring. Roughly half of Americans who live beyond 65 (46.7 percent of men and 57.5 percent of women) at some point will require at least some form of long-term care, according to the National Association of Insurance Commissioners. And that could prove financially problematic. The average monthly nursing-home cost is $7,148 for a semi-private room and $8,121 for a private room, according to the Genworth 2017 Cost of Care Survey. The average monthly cost for an assisted-living facility is $3,750. Medicare and Medicaid aren’t the same. These two similarly named programs confuse lots of people. Medicare is a federal program that provides health care for people 65 and older. It does not cover long-term care. Medicaid provides health care for people with very low income. It does cover long-term care, but with caveats. The person must qualify financially and also meet the definition of medical necessity. Older people who need to go into a nursing home sometimes deplete their savings so they can qualify for Medicaid. The cost of some care is all on you. 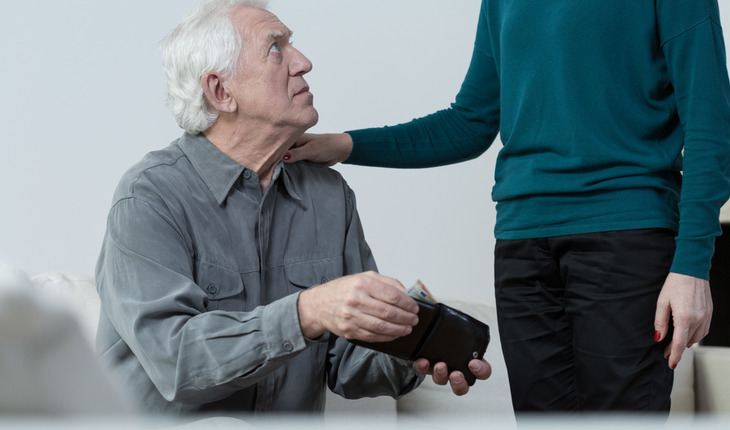 Most forms of home care and assisted living are private pay, which means you need resources other than Medicaid to cover the monthly out-of-pocket expenses. Long-term care insurance can help. Many people buy long-term care insurance, which can pay for nursing home, assisted living and at-home care. A big concern here is that someone might fail to make their premium payments and let the policy lapse before they can use it. Life insurance can be a lifeline. One untapped resource for many seniors is the life insurance policy that they thought wouldn’t pay anything until they died. The owner of a life policy can exchange it for long-term care benefits to cover any form of care they choose. Many people don’t really grasp how much it can cost to grow old, partly because it’s hard for them to think of themselves in a nursing home some day. But if you take the time to understand what it all means – and the options you have for paying for long-term care – then you can avoid putting your older self in a precarious financial position. Chris Orestis, Executive Vice President of GWG Life (www.gwglife.com), has more than 20 years of experience in the insurance and long-term care industries and is nationally recognized as a healthcare expert and senior care advocate. He is a former Washington, D.C. lobbyist who has provided legislative testimony; the author of two books: Help on the Way and A Survival Guide to Aging; a frequent columnist with a currently popular series titled “The Healthcare Hunger Games”; and has been a featured guest on over 50 radio programs and in The New York Times, The Wall Street Journal, USA Today, Kiplinger’s, Investor’s Business Daily, PBS, and numerous other media outlets.